The case of a Morgan Stanley financial advisor accused of violence and harassment by multiple women – kept on by the wirehouse for years and then fired within days of a barrage of media coverage of the allegations – shines a spotlight on two ugly realities in the industry, experts say. First, it reflects the tendency of big firms to turn a blind eye to misconduct by their top-producing advisors – whether alleged or documented – if the misbehavior isn’t the kind that could get them suspended or barred from the industry. Second, it reflects the tendency of big firms to react swiftly and do what is perceived to be the right thing only when faced with a public relations crisis. 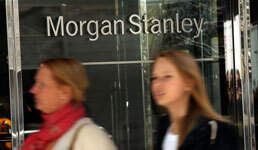 Portland, Ore.-based Douglas Greenberg – who had been an advisor at Morgan Stanley since 1994 until he was fired April 3 – has been accused by four women of criminal behavior over a 15-year period. The firing came after the accusations against Greenberg and Morgan Stanley’s apparent inaction against the advisor, despite the wirehouse being alerted to the allegations, were published on March 28 by The New York Times and picked up by various publications, including FA-IQ. The accusations brought forward by the women – including an ex-wife and two ex-girlfriends – include verbal abuse, stalking, harassment, choking, and a threat of being burned alive inside a house. The charges that have been brought against Greenberg involve two violations – one in 2006 and one in 2014 – of restraining orders granted to two women, according to the Times. The paper also details how Morgan Stanley executives knew for years about the allegations against Greenberg and how they tried to escalate the issue internally, as well as investigations by Portland police and federal authorities. A lawyer who declined to be named because of potential conflicts of interest says it’s possible Morgan Stanley kept Greenberg on despite the allegations because they found him to be innocent. However, the lawyer says, the eventual firing of Greenberg – and so quickly after the media coverage – makes that premise less likely to be true. “The problem is the actions of Greenberg were tolerated by Morgan Stanley in the same way that the actions of frat boys are tolerated by their peers,” says Bill Singer, New York-based of counsel at Herskovits PLLC Law Firm. He doubts Morgan Stanley would have been as tolerant if the allegations were made against employees who didn’t contribute significantly to the firm’s revenues. “If a man with the same history works in the copy machine department, how long do you think they would have kept him employed? That’s the hypocrisy of it,” Singer says. Greenberg was in the top 2% of Morgan Stanley’s brokers by revenue produced, according to the Times. In February he was named among Oregon’s top wealth advisors by Forbes but the publication has since “removed” him from that list. In 2013 he was among the Financial Times Top 400 broker-dealer advisors. Finra compliance records are among the criteria used to judge the top advisors in the FT 400 list but none of the allegations by the women against Greenberg are considered reportable by the regulator. FA-IQ is part of the Financial Times. Morgan Stanley declined a request from FA-IQ to be interviewed for this article, but a spokeswoman at the firm says Greenberg was fired because his behavior was not consistent with the firm’s values. “We believe that our employees should behave in a manner consistent with the trust our clients place in us and our firm’s values, which include treating women, and indeed everyone, with dignity and respect,” the spokeswoman says. Morgan Stanley’s 2018 Code of Conduct insists that “doing the right thing” is one of its core values – and part of that is acting with integrity as well as valuing and rewarding honesty, collegiality and character. Rogoway, who is primarily a criminal defense attorney but represents girls and women in domestic violence cases, spoke to FA-IQ in her personal capacity because she no longer represents Williams. Rogoway declined to elaborate further to FA-IQ about her discussions with Morgan Stanley, law enforcement and other authorities since Williams has a new lawyer. Herskovits’ Singer doesn’t expect the spotlight on Greenberg to lead to significant changes in the way big firms in the industry deal with misconduct that’s beyond the purview of Finra or other regulators. Singer believes allegations similar to Greenberg’s are rarely brought to light precisely because they aren’t considered reportable disclosures by the watchdog. Aside from regulatory disclosures, Finra requires the disclosure of criminal charges – whether a felony or certain misdemeanors – that have resulted in a conviction, acquittal, dismissal, or plea. A summary of Greenberg’s records on BrokerCheck shows five disclosures from 1984 to 2013: one disciplinary action by Finra, two customer disputes (one settled and one denied), and two criminal activities (one criminal mischief felony charge and one theft by check misdemeanor charge; both dismissed). When approached by FA-IQ, Finra would not comment on whether the women’s allegations of violence and harassment against Greenberg were brought to its attention for a potential investigation. Speaking in general terms, however, Finra says it investigates alleged misconduct when such misconduct is in potential violation of its rules. FA-IQ reached out to several advisors to ask about the allegations and whether they believed the misconduct of top performers in the industry is indeed tolerated at big firms, but all advisors declined to be interviewed, with most citing the “sensitive” nature of the topic. Privately, the advisors say they believe the likes of Greenberg are a few bad apples who bring down the industry. Rogoway, the former lawyer of one of Greenberg’s victims, says she isn’t surprised individuals in the industry who aren’t directly involved in the case don’t want to lend their voices to this story – even when they are sympathetic to the alleged victims. “Intimate partner abuse is something that’s prevalent in many professions and I’ve dealt with many of these cases. But people don’t want to acknowledge that this is going on and they feel uncomfortable talking about it,” she says. Sallie Krawcheck, who founded women-focused robo-advisor Ellevest in 2015, told Politico in February about her own experiences with sexual harassment and the tolerance for that kind of behavior in her previous firms. She started her career in 1987 at Salomon Brothers and then moved on to Sanford C. Bernstein, Smith Barney, Citigroup and Merrill Lynch, where she was head of the global wealth management unit. Most (85%) of the 325 male and female financial advisors surveyed by WealthManagement.com in one study say sexual harassment – specifically unwanted sexual advances or obscene remarks – exists in the industry. When broken down by gender, that’s 79% of the male advisors and 92% of the female advisors surveyed, according to a report published earlier this month. Millennium Career Advisors’ Edde acknowledges there are many cases of misconduct – not limited to violence against women or sexual harassment – that are largely unreported in the industry because they are either well-hidden or not considered reportable. However, even with the so-called international “Me Too” movement – which began as a protest against harassment in Hollywood – he cautions people from automatically accepting allegations as fact. Without passing judgment on Greenberg or his alleged victims, Edde says he would be willing to hear Greenberg’s side of the story. Will the parades on Wall Street and Main Street hit a pothole?